Protocol Capital Management is a crypto fund of hedge funds manager based in San Francisco, CA and founded in 2017. 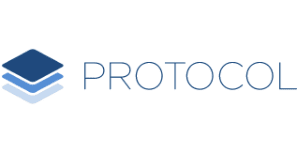 Protocol was founded by Rick Marini Jr.
Want more detailed information on Protocol Capital Management and more than 180 additional crypto hedge funds and VC funds? Download the Crypto Fund List! Want more detailed information on Protocol Capital Management? Get 30+ categories of information on Protocol Capital Management and more than 180 crypto hedge funds and crypto VC funds in the crypto fund list.